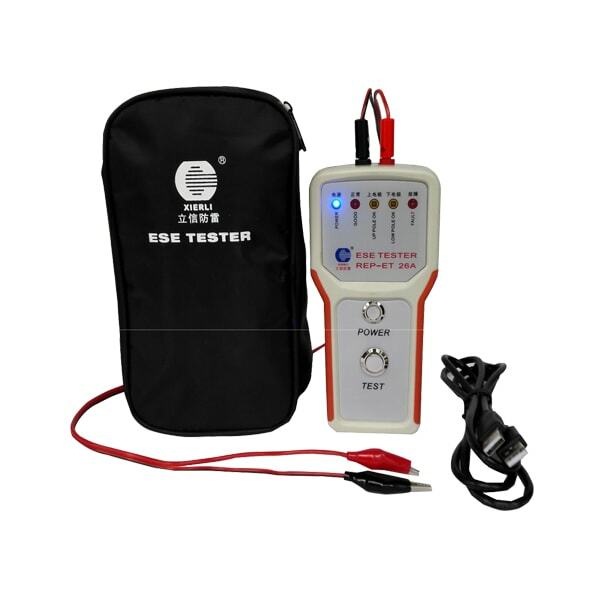 1: Turn on the ESE tester by pressing the power button, then the power light will stay on. 2: Test the up electrode of ESE lightning rod. Connect the test terminal red color at the up electrode of the ESE lightning rod, and mind not to touch the middle rod. 3: Connect the test terminal black color at the ground rod of ESE lightning rod. 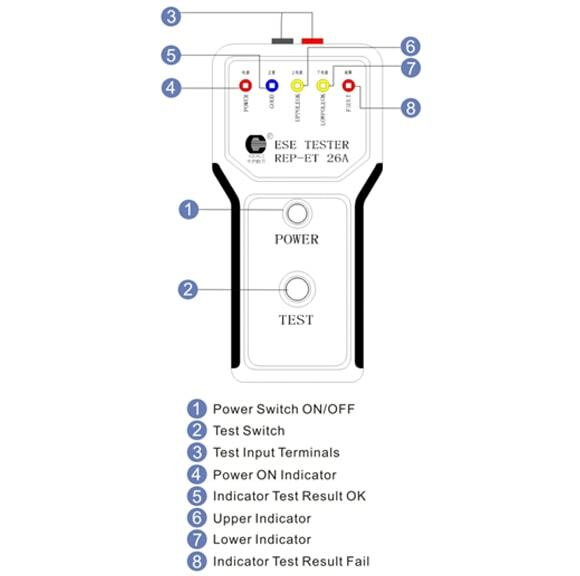 4: Press the test button, the tester beeps and all LEDs light up momentarily, after a couple of seconds, if the up electrode of the ESE lightning rod is working correctly, the light of the up electrode will stay on, and the normal indication will stay on, otherwise, the fault indication will stay on. 5: Test the down electrode of ESE lightning rod. Connect the test terminal red color at the down electrode of the ESE lightning rod. 6: Connect the test terminal black color at the ground rod of ESE lightning rod. Otherwise, the fault indication will stay on. 8: After the test finished, disconnect the connectors from the lightning rod. 9: Turn off the device using the power switch ON. The power ON LED should turn off. 10: Save the device, disconnecting the test connectors of the lightning rod. The ESE tester is designed exclusively for the evaluation of the current modules of REPSUN ESE lightning rods. 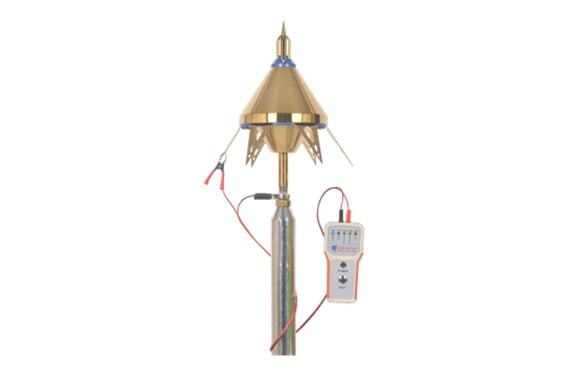 ESE lightning rods from other manufacturers may not be compatible with REPSUN ESE tester technology. 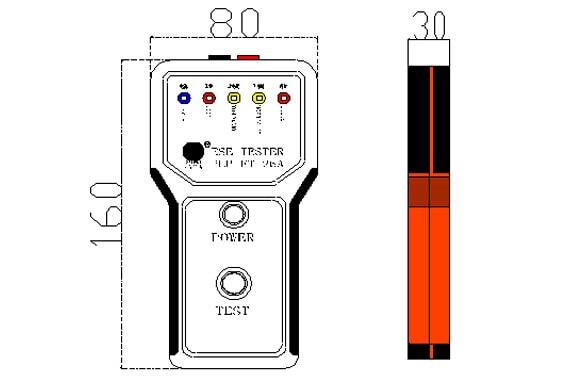 The tester is specially designed for a perfect portability for both installation and mounting. It has isolated cables and transport bag. 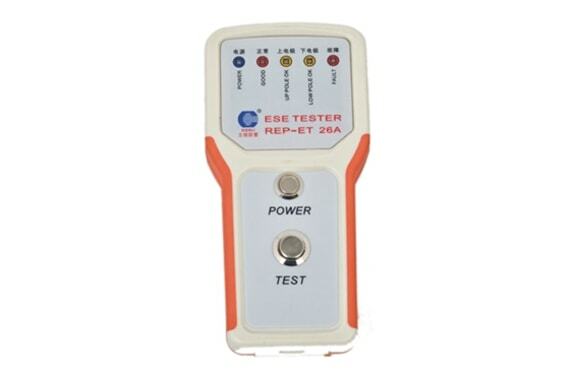 Each circuit of ESE lightning rods can be tested by this ESE tester.